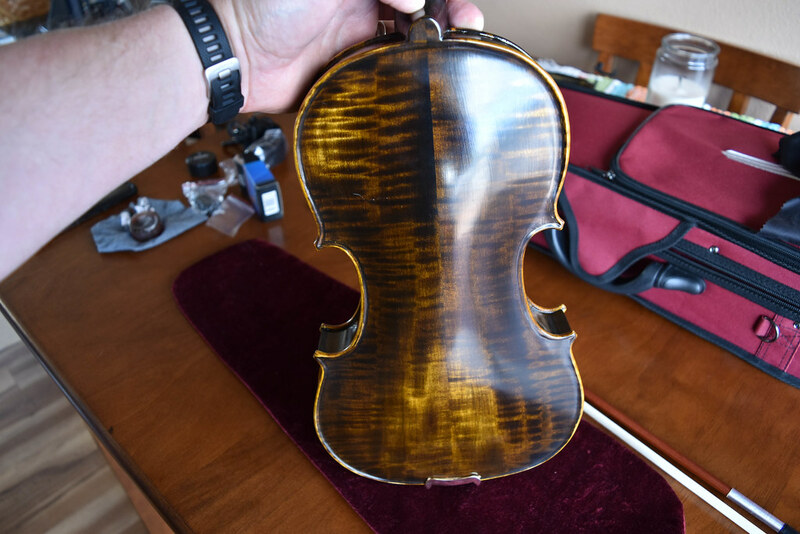 A little over a year ago, I purchased a Fiddlerman Artist for my wife to start playing again, over the year I have picked it up once or twice to try and start learning myself. We recently decided that it would be beneficial for me to have my own Violin ( I think she didn't want me using hers!!) Initially I was leaning towards a Tower Strings Midnight, after some discussion they suggested stepping to the Entertainer over the Midnight for better sound quality. So after spending a bunch of time watching all the Fiddlershop reviews, we actually decided to step all the way up to the Tower Strings Legend. I placed the order online on Wednesday of last week for a Legend with the request for a Darker, Richer sound. At the same time, we requested to swap the standard shoulder rest for the Resonance Low and a couple other accessories. 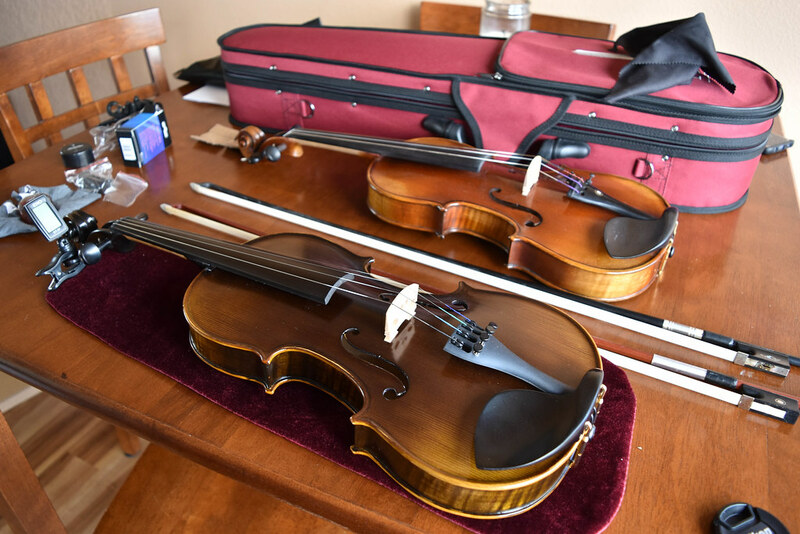 Unlike with any of the Fiddlerman Branded instruments you don't get the Video preview, so you are at the whim of the Fiddlerman team sending you something that meets your criteria. 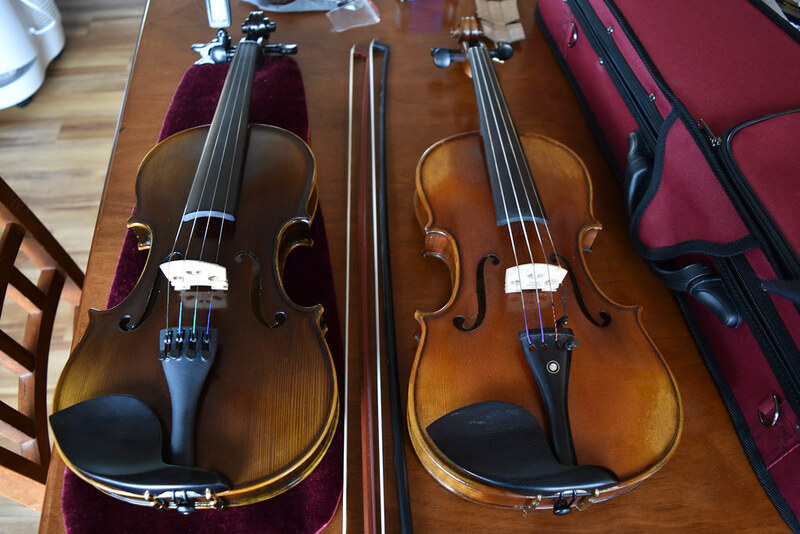 Plus as a beginner you also don't get to hear the potential of your new instrument. After patiently waiting a week for shipping to California, it arrived yesterday morning. I had to patiently wait until the afternoon to open it, on the account of work and our cleaning lady being in the way. When I did get around to opening it, everything was packaged very well and looked great. With initially plucking, I found all strings were out of tune, about 3/4 of a note low. So I tightened everything up rosined the bow (I used Salchow Light rosin, which I saw on a local bow makers website. Where we live we have very Low humidity and fairly moderate temperatures so wanted something that works here) then did a little test. While I am terrible, I found that the instrument sounds very nice, very clear tones, not quite a dark/rich as the Artist, but the sound quality is much closer to the Artist than the $250 price tag would have you think. I will say, the one thing that I should have done and will be doing already is upgrading to the FM Carbon Fiber bow. After having used the one that came with the Artist, the standard bow that comes with the Legend is a noticeably lower quality, but for someone that hasn't touched another bow they probably won't know the difference for a while. 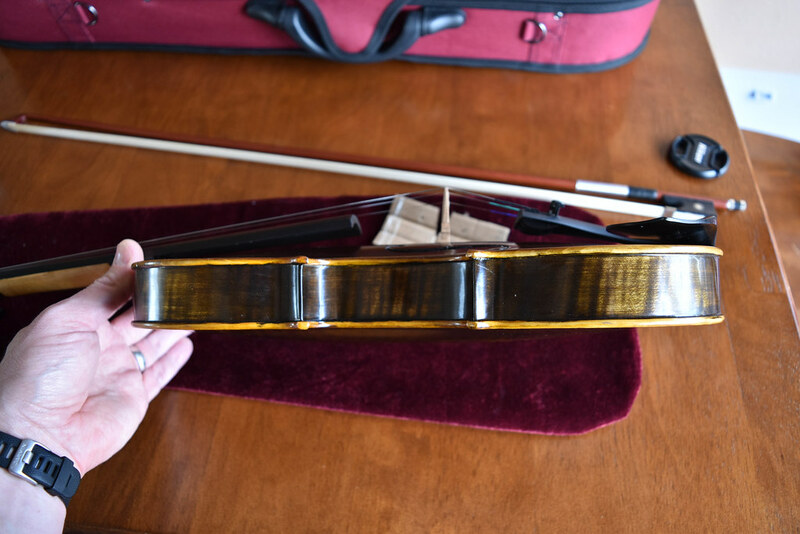 If you are shopping, right out of the box looking at the CF Bow, then you are putting the Legend pricing with an extra bow, slightly above the FM OB1 violin. The Challenge is staying within your specified price range and being happy!!! It's Very Easy to get price creep and next thing you know, you might as well be purchasing a Strad!!! I'll start of with some pictures now, and videos to come later. @mkogan that's a very distinctive and handsome violin you got. Look forward to hearing you play it for us (you wife can join in and make it a duet!). @mkogan - Thanks so much for the review. 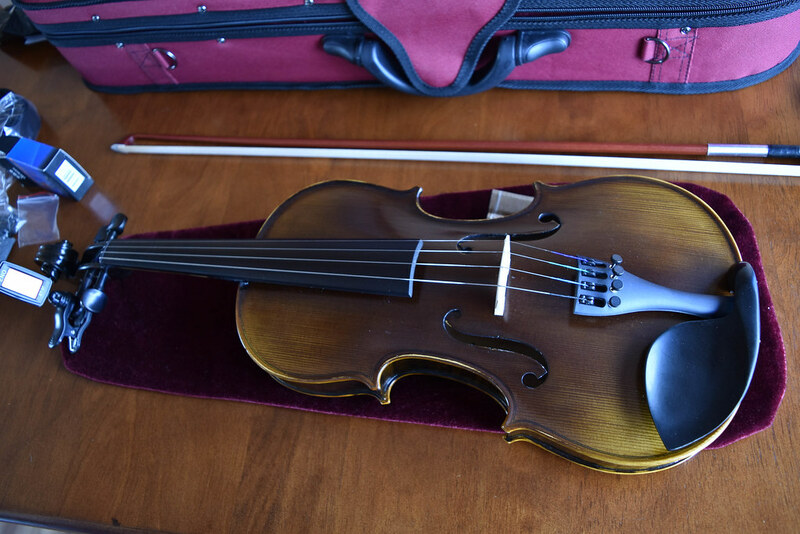 We actually don't make videos for all the Fiddlerman instruments purchased, rather only the ones where the customer requests it which is rather rare. It might have been different when you made your Artist violin purchase. I'll post a better comparison between the Legend and Artist once I learn to play a little better. Sounds like a great plan. Thanks mkogan!